Starting with the flagship podcast, the "Left of Str8 Show," Left of Str8 Radio is now bringing more voices to the LGBT Community and our Allies. We hope you'll enjoy listening. Left of Str8 Radio brings quality talk radio shows to the LGBT Community and our Allies. 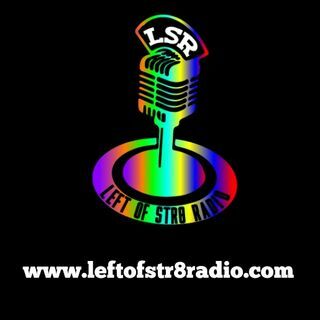 The "Left of Str8 Show," is fun chat and celebrity interviews in the areas of Entertainment, Foodies, and Books. "Healing Stigma on Left of Str8 Radio," is fun, but more serious chat with guests who have dealt with and are ... Maggiori informazioni overcoming Stigma in their lives, such as body image, bullying, HIV/AIDS, and more. Both shows offer music between guests, from singers and bands who are up and coming artists and have granted the shows full use of their music.